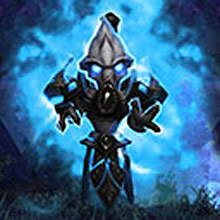 Purchasing the Collectors Edition or the Digital Deluxe will reward you with a Starcraft-themed pet in WoW, a mini-Archon (pictured right). Legacy of the Void is scheduled to release towards the end of this year. The pet will likely be mailed to your character once we near the release date. We'll have more information on this pet once it's on the PTR, so stay tuned! There's great news for those that may not be interested in Starcraft II but would like to collect the related pets — each expansion will now be purchasable (and playable) as standalone games. "For players who haven’t yet played the first StarCraft II expansion, Heart of the Swarm, it just became a little easier to stage a zerg rush. Starting today, the original StarCraft II: Wings of Liberty is no longer required to play Heart of the Swarm—making this the perfect time to catch up on Kerrigan’s story and command a host of additional multiplayer units for all three factions." Now that previous games are not required to buy any of the expansions, you can pick and choose which Starcraft II pet you'd like to collect. Collecting them all is an option too! If you have yet to purchase any of the Starcraft II games, you can pre-order all three expansions in one bundle (Standard version and Digital Deluxe). The Complete Collection costs less than the price of three Digital Deluxe expansions — it's a great sale and a quick way to collect all three Starcraft II pets. SO INCREDIBLY EXCITED GANG!!! Last year a fellow pet lover friend of mine and I submitted a comic to Blizz and it JUST went through and is featured now! Check it out friends of the lil' ones. Currently bugged so that if you already own one of the CE expansions it won't let you buy the complete collection. Told by customer support that it is being worked on and it was not intended that anyone who purchased before was excluded, guess they still want our money. I agree with you DeathEnder. I think its a very poor marketing ploy. As much as I'd like those pets 100 for 3 pets is absurd. I think this upsets the collecting community at large, promo items are fine when they are for use in the given product. I hope Blizzard heeds these comments, but they probably won't. Personally, I don't like any pet that I can't obtain in-game. Wanting me to buy Blizzard tickets I don't want or strongarm my friends into playing just to collect pets? I say, put all those promotional pets on the pets store, then let us by them with WoW tokens. I had the same issue, Xolve. I talked with a CSR on the Live Chat and they detached the beta from my account, which then enabled me to buy the Collection just fine, as well as added the beta back since it comes with the LotV purchase. I still think it is a ridiculous money grab to attach pets for one game on to buying a different game. I don't play starcraft or heroes of the storm. I don't want to buy a game I won't play for a pet in a game I do play. There's currently a bug if you've been accepted into the closed beta, you cannot purchase the new Starcraft Collection until they work something out. I'm waiting for Mini-Thor, Baneling and the New Archon pet. I would be beyond ecstatic if they would do this for WoW... I want a panda and Mini Deebs!